Simple, nutritious, delicious. What more could you want? The perfect midday or afternoon snack, for both big and little kids alike! This is a fun way to try something just a little bit different, with plenty of space to experiment along the way! Spread the almond butter on one side of each apple slice. 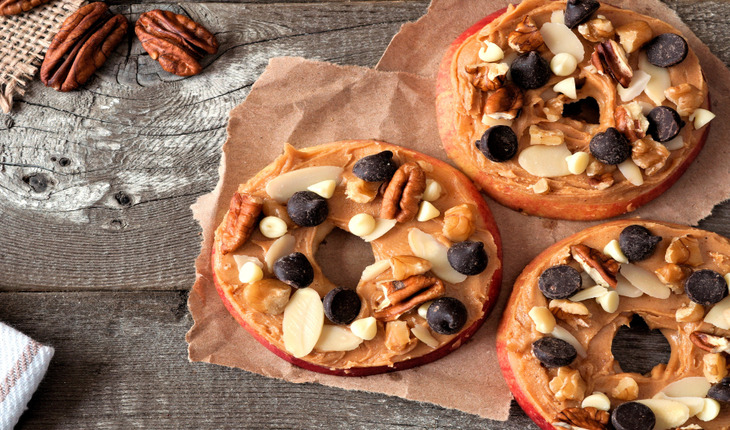 Top each apple slice with your choice of toppings. Eat as a snack or delicious, quick breakfast. For a fun twist, swap out raisins for dried cranberries!